European Council President Donald Tusk says there is a “special place in Hell” for “those who promoted Brexit without even a sketch of a plan of how to carry it out safely”. There’s no referendum for anyone seeking to escape Hell. No ‘in’ or ‘out’ vote. 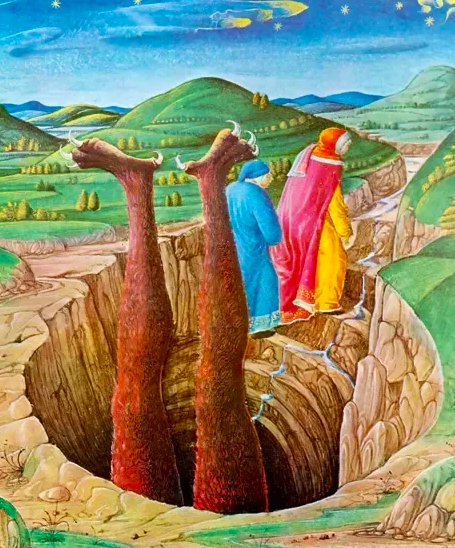 The exit, as tried and tested by Dante and Virgil, is to descend into the ninth and lowest circle of Hell, slip down into the chasms below Satan’s waist and after a long walk emerge into the sunny uplands of the southern hemisphere – to strike a new deal with Australia, Kenya and the Maldives. Hades Exit – aka Hexit – is possible. Pack the suncream and a cricket bat. Who Tusk’s sinful promoters are is debatable. The BBC says: “The softly spoken politician who holds the authority of all EU countries [Tusk] has just completely condemned a chunk of the British cabinet.” It might be MPs who led the Leave campaign – Michael Gove, Gisela Stuart and Boris Johnson – Tusk was damning. It would not be George Osborne, Tony Blair and the Big Banks, who are, in Tusk’s spiritual view, on the side of the Heavenly. Maybe – just maybe – it was the 17.4m of us lost souls who freely voted to tell Tusk to naff off he was was casting into the pit. Perhaps the most revealing part of Tusk’s snideness was when Varadkar turned to him and snarked: “They’ll give you terrible trouble in the British press for that.” As the BBC put it: “Mr Tusk nodded at the comment and both laughed.” They find it funny. They giggled. Get a load of Europe’s new aristocrats. And you know what Europeans do to them. Laugh your heads off, lads. Laugh them right off.